Sel kevadel, 6.mail, külastab Eestit Ajeet Kaur. 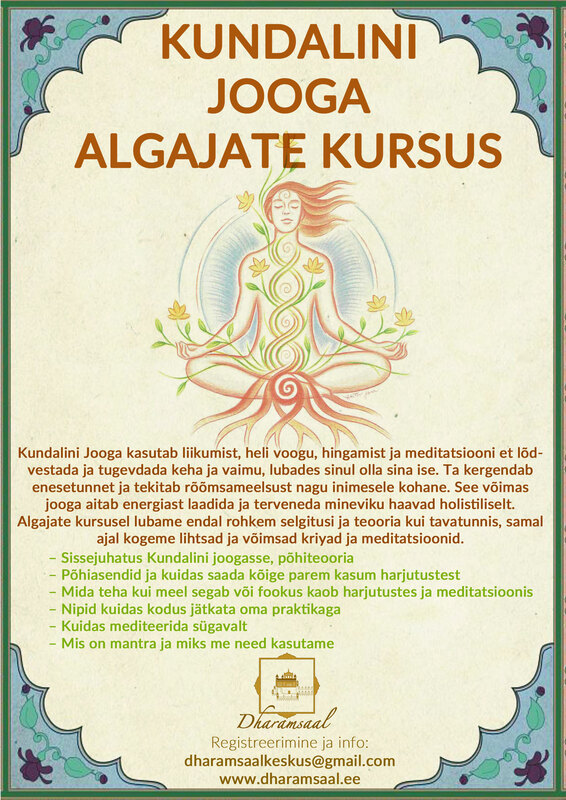 Ajeet on Kanada päritolu muusik ja Kundalini jooga õpetaja. Ta on viimastel aastatel joogamuusika maastikul tugevalt esile kerkinud ning tuleb Eestisse oma Euroopa tuuri raames. Tema plaat “Darshan” on saavutanud iTunes`I maailmamuusika sektsioonis isegi esimese koha. Ajeet on teinud koostööd paljude muusikutega ning hetkel juhendab ta Spiritvoyage`i Globaalset Sadhanat “Free Your Spirit”. Ajeet viib Tallinnas läbi töötoa teemal “Tervenda Ennast, Tervenda Maailma” ja seejärel annab koos oma bändiga kontserdi. Töötuba toimub Tallinnas, Telliskivis, Urban Yogini Õnne Laboratooriumis ja kontsert loomelinnaku Erinevate Tubade Klubis. Urban Yogini Õnne Laboratooriumis, Telliskivi 60, ON-maja, II k.
KOHTADE ARV ON PIIRATUD!! Jooga matt kaasa! Kohapeal kontsert 35 €, töötuba 35 €, kontsert+töötuba 55 € *töötoa kohtade arv piiratud! Ajeet Kaur is a fresh new presence in the world of sacred chant. Growing up in a musical and spiritual home, her discovery of sacred music and yoga practice to heal began at a young age. Inspired by her practice of yoga, music and healing, Ajeet has released three albums of sacred music. Her most recent album Darshan was celebrated as #1 on the iTunes world music chart, and her music has been featuring on the Billboard Top 10 for new age music, reaching many hearts and bringing with it a sense of healing and peace. Yoga and chanting have an incredible capacity to open us in profound ways, to peel away the layers of fear and hesitation, opening us to the essence of who we are. Part of dwelling in that truth is finding our own unique way of living in service, of carrying the healing we receive from our practice out into the world. As yogis we live in an active state of compassion. We practice yoga to have the courage and strength to live with an open heart and serve others. Join Ajeet Kaur and her band for an experience of Kundalini Yoga, live music and deep reflection to tap into the most genuine way for your soul to live as a healing presence. *workshop in English with translation to Estonian! Limited spaces available!!! bring your yoga mat!